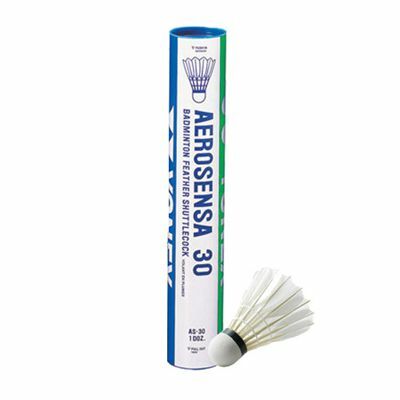 The Yonex Aerosensa AS 30 shuttlecocks are designed and manufactured for good flight stability over distance and suitable for a wide range of playing conditions. They are made from premium materials and manufactured to the highest standards. Their fantastic resilience means that they need replacing far less often than other, similar shuttlecocks. 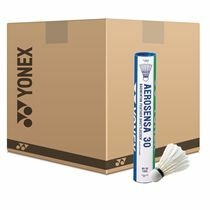 for submitting product information about Yonex Aerosensa AS 30 Shuttlecocks We aim to answer all questions within 2-3 days. for submitting product information about Yonex Aerosensa AS 30 Shuttlecocks. We aim to answer all questions within 2-3 days. If you provided your name and email address, we will email you as soon as the answer is published. Great shuttles that play great! And last twice as long as any other shuttle i have played with. for submitting product review about Yonex Aerosensa AS 30 Shuttlecocks.